There may have been times in our lives when we have felt that physical sensation referred to as "heartache" or "heartbreak". This feeling of pressure or discomfort in the chest and throat occurs when the deepest part of us is under assault, typically when someone is hurting us or we're feeling negative emotions such as a deep sense of grief, hurt or loss. This experience can be almost unbearable. We don't want to feel these emotions. They may be too difficult or uncomfortable to deal with or maybe we really don't even know how to deal with them, especially when we are children. Some people attack and some retreat and hide. But most of us feel the need to defend and shield ourselves from being hurt. I believe that the heart is actually the core of our being, just like the ancients believed. The spirit within us does not like this feeling of heartache/heartbreak, this assault on our core. If this is experienced more than a couple of times, the subconscious mind will form an "energy wall" to protect the heart against further heartache and against further assault. This wall of energy is referred to as the "Heart-Wall". So how does the subconscious do that? Walls need to be built out of something. However, we need to realize that real physical walls are ultimately made of energy just like everything in the Universe. So what is a readily available energy that would be just as real to the subconscious mind as the brick or stone wall of a building? The energy of trapped emotions, the most common excess energies in the body. And for anyone that has ever had negative experiences in their lives and felt and resisted any negative emotions, there will be a bountiful supply of excess energy building materials to utilize in the construction of the Heart-Wall - trapped emotions. And over time, more layers will be added to the Heart-Wall and it will become thicker and thicker. The heart is becoming more and more deeply shielded from the assaults of the outside world. To the subconscious mind, the Heart-Wall is just as real as the walls of your house. Maybe we can't see it with our physical eyes, but it is just as real as the unseen ultraviolet light or the air we breathe. And what is also just as real to the subconscious mind is the "building material" out of which the Heart-Wall is constructed. It can be wood or brick or stone. It can be a wall of trees or plants or even flowers. It can be plastic or a metal like titanium. Or even something from outer space that is harder than anything on Earth! You see, the subconscious can create the Heart-Wall out of anything and it will be very real. And often, the building material has some symbolic meaning that will make sense once it has been identified. And physically, mentally and emotionally, we will react like our heart is shielded by this impenetrable wall, even if we have no conscious awareness of it. "The Heart-Wall is a creation of the subconscious mind - where literally anything is possible." So now we have subconsciously created this wall to shield our heart from the hurt. It is like living in a bomb shelter and it works great while the bombs are falling. But once the assault is over, we want to climb out into the daylight again. But the Heart-Wall doesn't just magically dissolve by itself, even if we don't need it anymore. 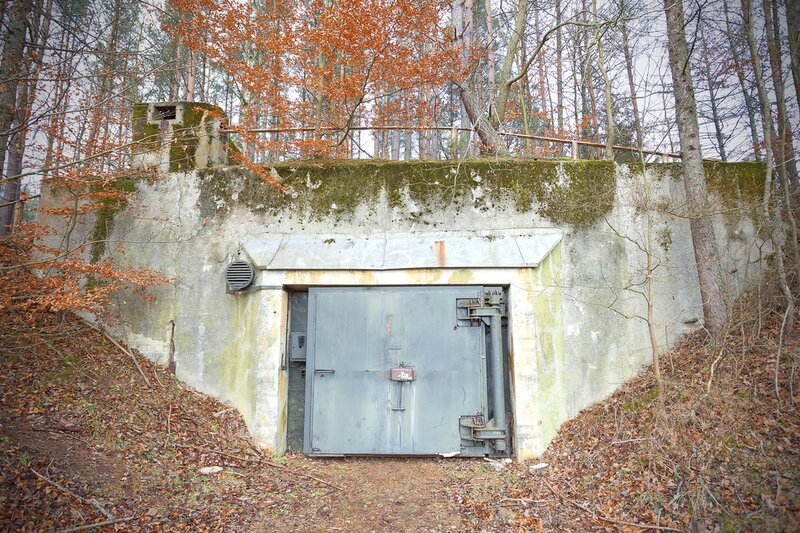 So it is like we are still living in the bomb shelter, protected from the outside world - from all those negative energies but also from all the positive energies as well. To hamper your ability to give and receive love, sabotaging your relationships. To interfere with your ability to harness creative energy and manifest abundance. To "numb" you to emotions and block you from feeling joy. To contribute to feelings of isolation and can create depression as well as other emotional problems. To adversely impact the communication of the heart with the rest of the body, affecting the thymus gland and causing problems with repeated bouts of infection and difficulty healing in general. It may also be implicated in heart disease, heart attacks, blood pressure problems, chest pain and respiratory difficulties. The good news is that by utilizing The Emotion Code, the Heart-Wall can be removed, one trapped emotion at a time. And just like finally climbing out of the bomb shelter into the sunlight, our hearts can finally be free to expand and be open to all the love and abundance that is ours to experience! This video is quite long, but is a wonderful explanation of the Heart-Wall, by Dr. Bradley Nelson. As it is labeled, Everything You Need to Know About the Heart-Wall!